"The heroes of western Ghouta (in Damascus province) imprisoned the shabih (pro-regime militia) presenter on July 19…He was then killed after he had been interrogated," AFP reported. 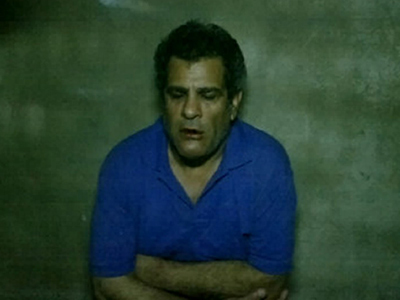 The post showed a photograph of frightened al-Saeed sitting against the wall. “May this be a lesson to all those who support the regime,” the note read. It is an act of cruel barbarism committed by one of Syria’s increasingly violent rebel groups, RT’s Oksana Boyko reported from Syria. She compared the incident to a similar case in Libya where kidnapped TV journalist Hala Misrati was tortured and raped by Libyan rebels. Misrati was later released alive, but “in Syria they simply kill,” Boyko said. “The Al-Nusra Front calls for Sunni improvement in Syria; all part of the democratic uprising,” she reported. Meanwhile, RT’s correspondent reports that two more journalists have been kidnapped on Saturday. One of those abducted, Talal Jinbakly, worked as a camera-man for Syrian state TV. The other, Mohammad Ali Hussein, is said to work on a Syrian educational television channel. However, there have not been official comments, and more details are not available so far. 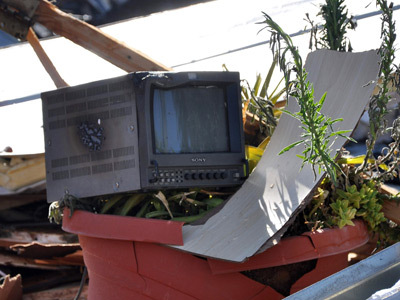 Also on Saturday, Syrian rebels attempted to seize a state-run broadcasting radio and TV complex in Aleppo. The rebel flag has reportedly been planted on top of the building. The attack on the pro-government Al-Ikhbaria TV station in the town of Drousha, south of Damascus, killed seven journalists and four security guards on June 27. One building in the complex was nearly demolished. 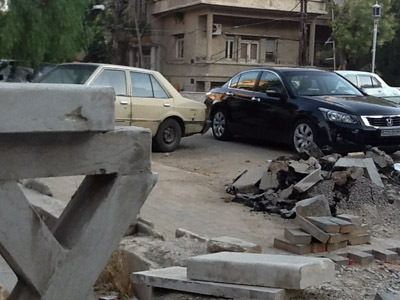 ­Violence has been ravaging Syria since the uprising began 17 months ago. The international community has so far failed to broker a peaceful resolution to the conflict. 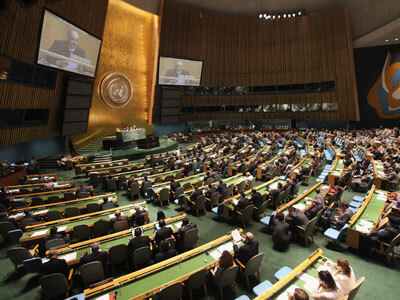 The UN General Assembly voted on Friday in favor of a non-binding resolution on Syria pushed by several Arab states. The resolution demanded that President Bashar al-Assad cede power to a transitional government, and for the Syrian Army to cease tank and helicopter attacks against rebel forces. It made no comparable demands of the opposition forces. July was one of the bloodiest months in the entire uprising, and saw a suicide bombing that resulted in the deaths of several of Assad’s top ministers, including his brother-in-law. The Syrian conflict has claimed roughly 17,000 lives, UN Secretary-General Ban Ki-moon said last month. Opposition forces allege the number is higher, estimating more than 20,000 killed.